Beaconsfield Products (Halesowen) Ltd is a manufacturer and supplier of various products with the emphasis on Forging and Fabrications for the home market and Export. Serving various markets including Agriculture. The client required a logo and a new website, the website needed the ability to update internally as well as provide a website that is easy to use, navigate and responsive to fit on all devices including tablets and phones. 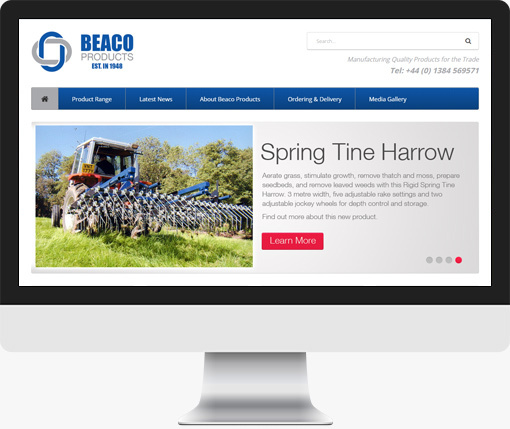 A brand new ecommerce backed website built for Beaco Products Ltd, customer required the ability to edit their own pages and products, full instructions were provided.